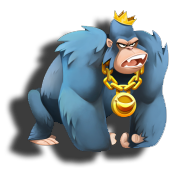 A fast-paced, funny and innovative slot where you will be entertained by no less than five crazy monkeys. If you need to brighten up your day, take few spins in Go Bananas! and you will for sure have a smile on your face the rest of the day! Home » Blog » Go Bananas!